When your ‘umble scribe first started using the GNU/Linux operating system over a decade ago, the default office suite for most Linux distributions was OpenOffice. However, it now looks as if OpenOffice just could be heading towards the software graveyard if other members of the development team concur with an email from the chairman of the OpenOffice Project Management Committee, Dennis Hamilton, as reported by LWN.net. 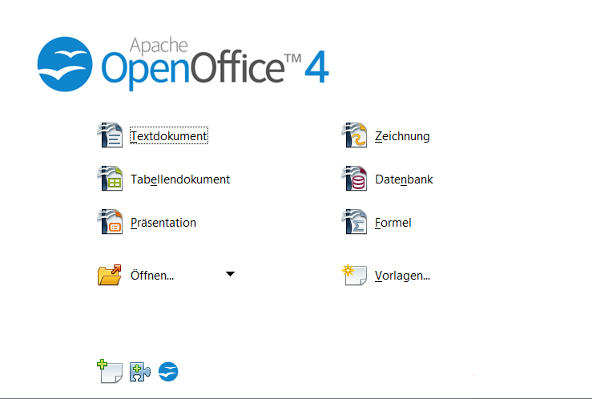 OpenOffice 4.0. The end of the line? To find the earliest origins of OpenOffice, one has to go back nearly 30 years to 1985 and an early office suite called Star Office. The timeline below shows the genesis of OpenOffice and other packages from StarOffice 1.0. StarOffice itself survived as a proprietary software package until discontinued by Oracle in 2011. To understand the various twists in the OpenOffice story, one also needs to know that StarDivision, the creator of StarOffice, was acquired by Sun Microsystems in 1999, whilst Sun Microsystems was in its turn taken over by Oracle Corporation in 2010. After the 1999 takeover of StarDivision, Sun released a free and open source version of StarOffice as OpenOffice.org under both GNU LGPL and the SISSL (Sun Industry Standards Source License). OpenOffice.org supported proprietary Microsoft Office file formats (though not always perfectly), was available on many platforms (Linux, Microsoft Windows, Mac OS X and Solaris) and became widely used in the open source community. OpenOffice.org had native support for the OpenDocument format (ODF). Following Oracle’s takeover of Sun Microsystems in 2010, some members of the OpenOffice.org project became worried about its future with Oracle. As a consequence they formed The Document Foundation and created the LibreOffice fork. The LibreOffice brand was hoped to be provisional, as Oracle had been invited to join The Document Foundation and donate the OpenOffice.org brand to the foundation. Oracle’s response was to demand that all members of the OpenOffice.org Community Council involved with The Document Foundation step down from the Council, citing a conflict of interest. This prompted many community members decided to leave for LibreOffice, which already had the support of Red Hat, Novell, Google and Canonical. LibreOffice produced its first release in January 2011. In June 2011 Oracle donated the OpenOffice.org trade marks and source code to the Apache Software Foundation, which Apache then re-licensed under its own open source licence. IBM donated the Lotus Symphony codebase to the Apache Software Foundation in 2012. The developer pool for the Apache project was seeded by IBM employees and the Symphony codebase was incorporated into Apache OpenOffice. However, Apache OpenOffice has not flourished, whilst LibreOffice has gone from strength to strength, OpenOffice has languished. LibreOffice releases updates every few months, whereas the last major update to Apache OpenOffice was in September 2015. Furthermore, a hotfix released at the end of August to remedy a memory problem has still not been announced by the project on its home page. In the meantime the Apache Software Foundation has been applying increasing pressure due to security concerns and has since demanded monthly reports (instead of the previous quarterly reports. Ed.) as to how problems can be solved. In his email Hamilton describes in detail what the retirement of the OpenOffice project could look like and what consequences will be involved for the source code, downloads, website, mailing lists and other matters. For the time being Hamilton only wants to start a discussion. A decision to end the OpenOffice project has still not been taken, although it is already being suggested that the project should consider donating the OpenOffice trade mark registration to the LibreOffice project. Originally posted on the author’s personal blog.